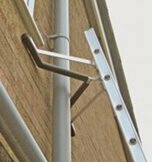 Ladder Spurs are an excellent way to reduce the risk of an extension ladder shifting left or right during the initial climb and are an excellent choice when your ladder can not be tied off at the top. 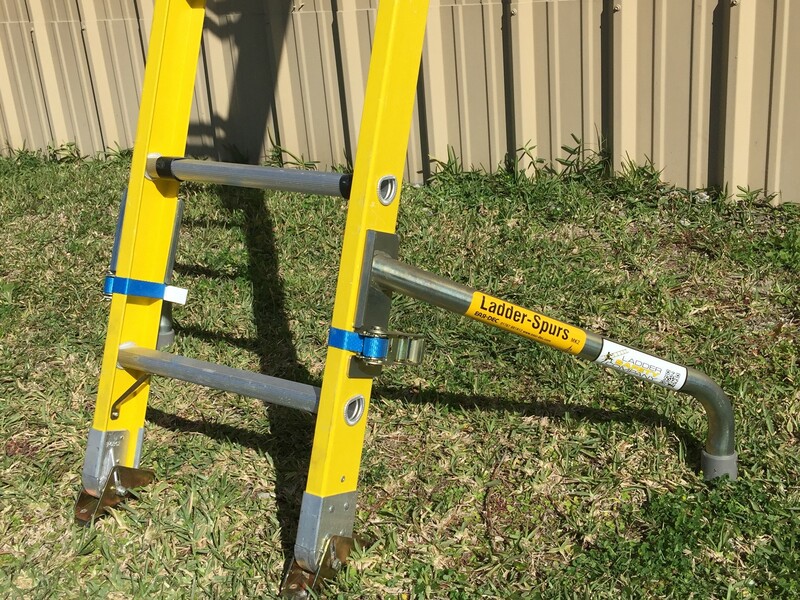 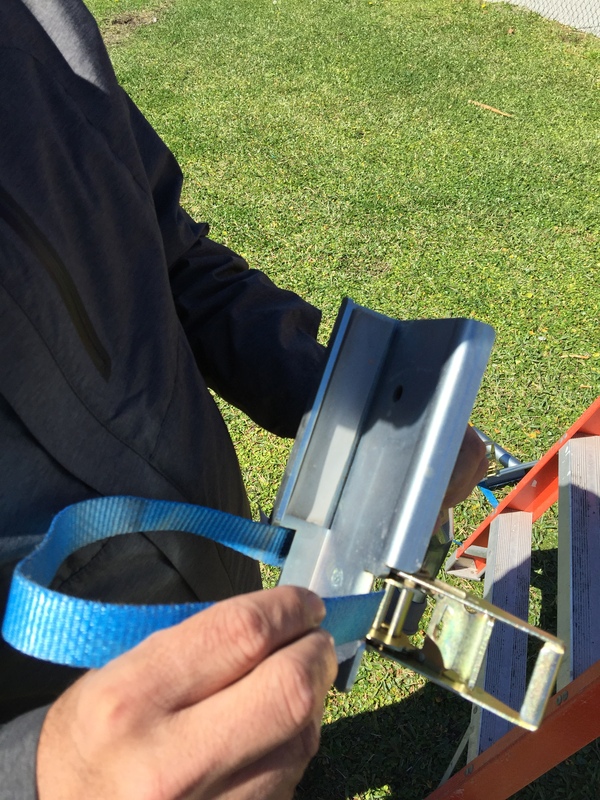 Ladder Spurs, when properly attached, increase the footprint of the base of your ladder nearly 500%. 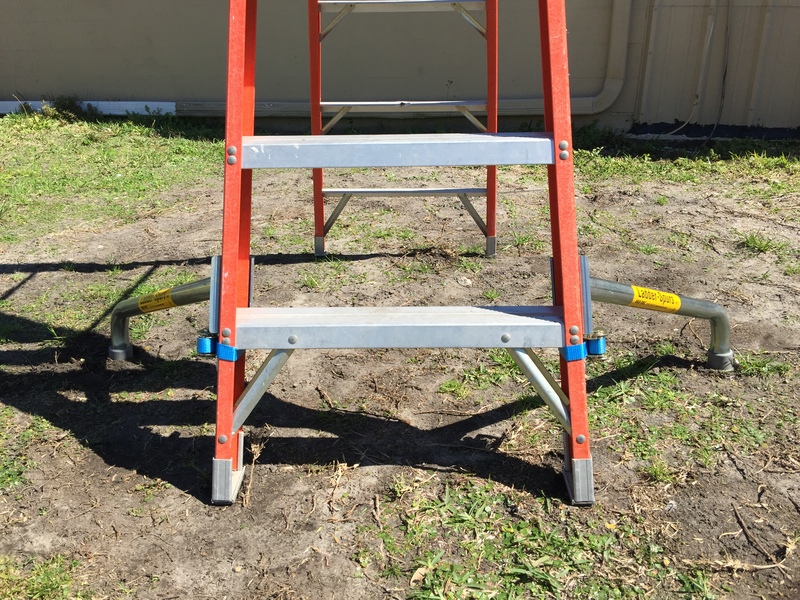 Coupled with the ability of the independently attached spurs to accommodate uneven terrain, at the base of the ladder, spurs significantly reduces the risk of the ladder shifting left or right when personnel maintain their center of gravity within the rungs of the ladder. 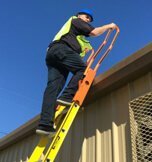 Our spurs are easily secured to the rails of your extension ladder with heavy duty ratchet straps that are quickly attached and removed at the jobsite. 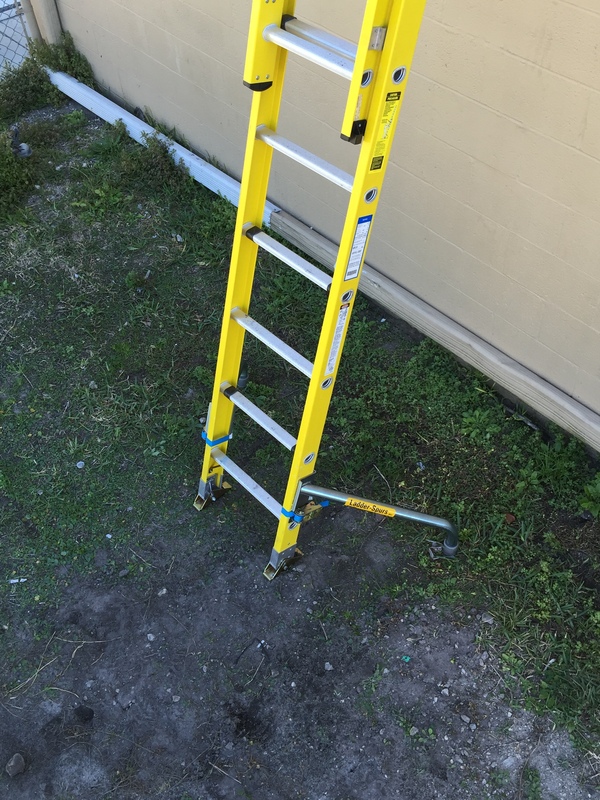 Have one of those tall step ladders that can easily become unstable? 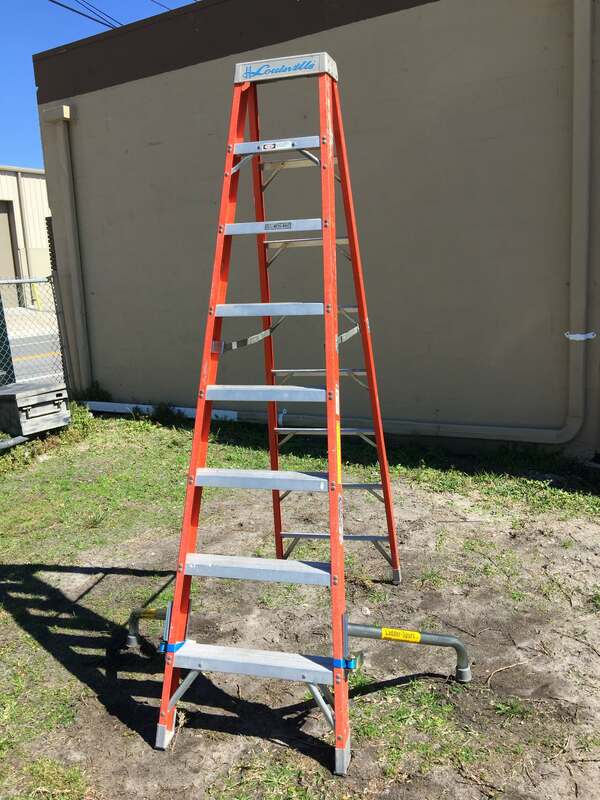 Our Ladder Spurs can be attached to these ladders as well and they provide an added level of ladder safety. 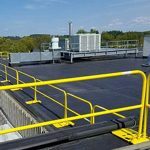 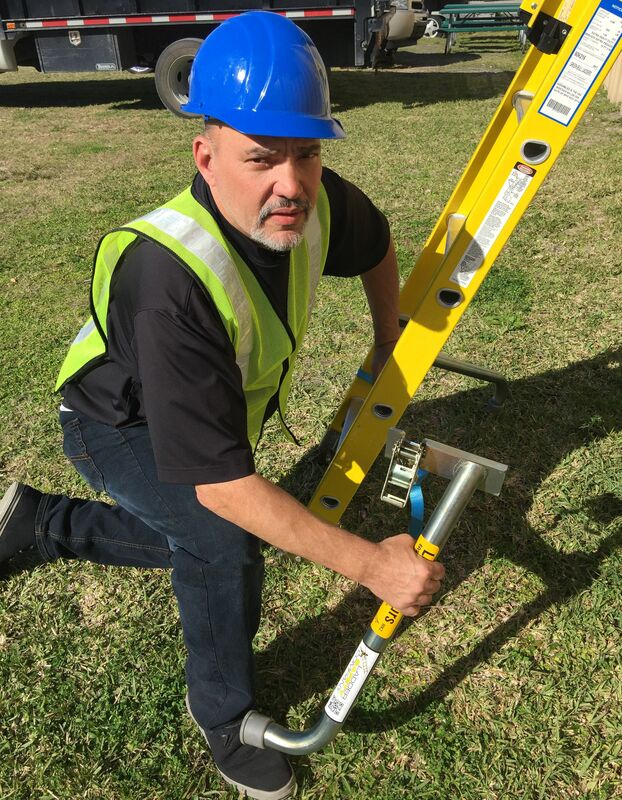 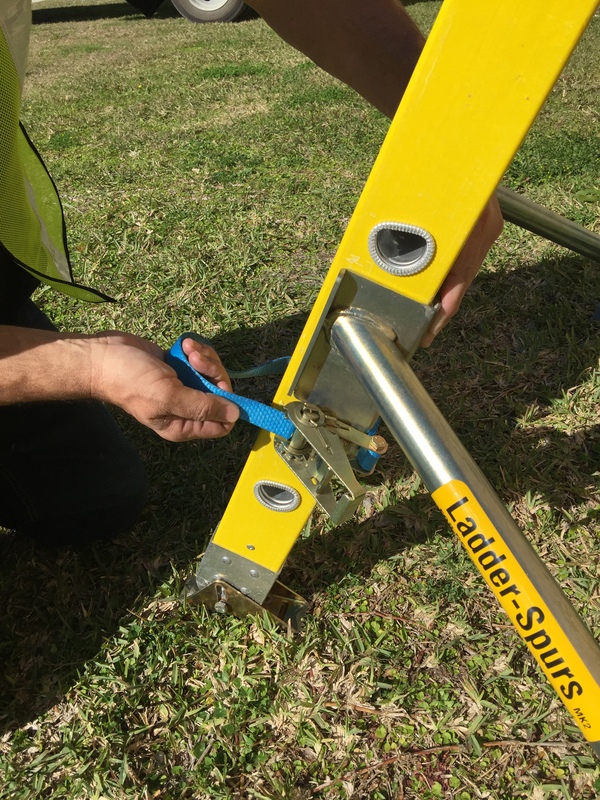 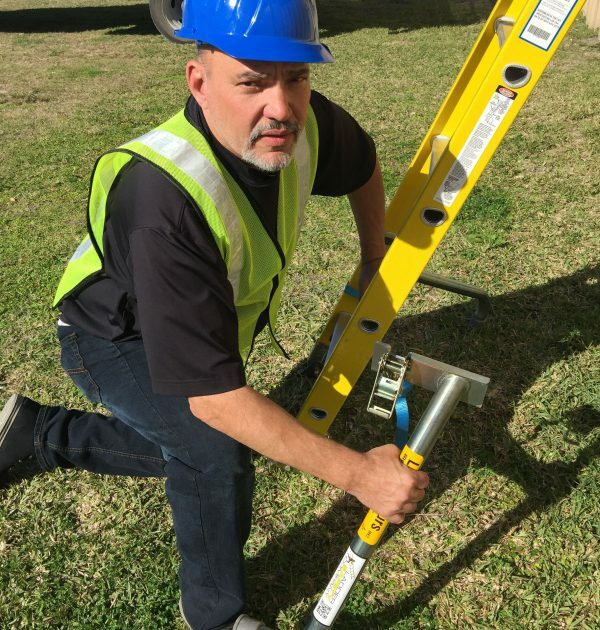 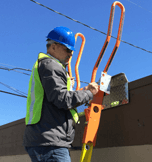 In addition to reducing the risk of a fall, our Ladder Spurs ( when correctly installed) reduce labor costs by eliminating the need to have an additional technician or “spotter” at the base of the ladder. 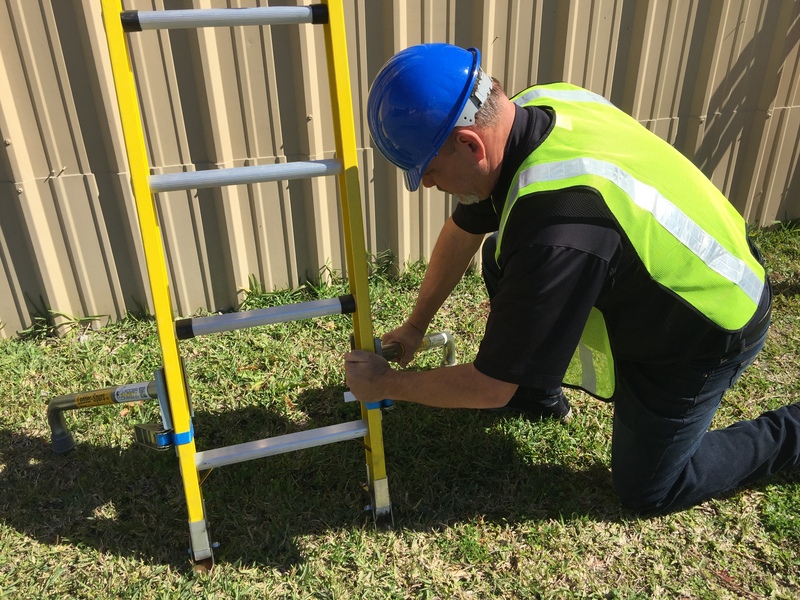 The level of protection increases as each element of our “Safe Ladder” is integrated into your ladder safety program.